Novelist and poet nominated for the Magnesia Litera. Also a script editor for Czech Radio and a literary editor. He was born in Kjov on 8 July 1957. 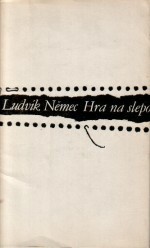 Ludvík Němec remains an original prose writer, the likes of which are rare in Czech literature. And although at some points the most recent book will be more likely to please literary connoisseurs or devotees, readers will definitely not be disappointed. It was a long wait, but it has paid off. 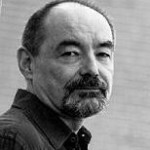 After finishing high school he worked as a reporter and a tourist guide at Špilberk Castle’s casemates, the majority of his working life has been spent at Czech Radio Brno – as the literary editor, entertainment editor and then as its director. He made his literary debut with the novel Nejhlasitější srdce ve městě (The Loudest Heart in Town, Blok, 1978), which he wrote when he was only twenty. The romance drama takes place in Mikulov, where Němec went to high school. 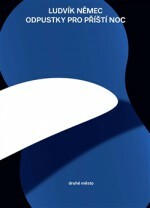 This was followed by Hra na slepo (Blind Man’s Buff, Blok, 1982), written in the form of a game of chess – the main character is a talented chess player, Oto, (similar to the main character in the author’s debut novel), who is investigating the reasons for the death of his girlfriend, who he had unceremoniously broken up with. Průvodce povětřím a tmou (A Guide Through Air and Darkness, Mladá fronta, 1988) is a lighter story about a young man, which the author set autobiographically in Špilberk Castle’s casemates. Rudolf, a photographer for a regional newspaper, is the main character in the crime/ love story Negativ (Negative, Blok, 1989). 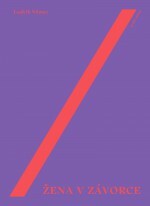 In 1994, Němec’s short stories Já jsem ta tma with the subtitle Příhody; nic víc (I am the Darkness: Stories; Nothing More) were published as the fifth collected edition of TVARy (the supplement of the fortnightly magazine Tvar). This was published in book form in 1996 by Mladá Fronta. The collection Láska na cizím hrobě (Love on a Stranger’s Grave, Druhé město, 2013) was published nearly twenty years later and was nominated for a Magnesia Litera for prose. It consists of five “mini novels” or long short stories, which are connected by the main character – a ‘loose’ woman called Darja. “While reading Němec’s new book you have the same feeling that you get when reading the good-old short stories by Chekhov, Bunin, Hemmingway, Hrabal and Kundera’s Směšné lásky (Laughable Loves), which were evidently very influential. It is, therefore, very “hand” written, based on polishing and engraving. The genre of ‘mini novel’ itself comes from a place outside of today’s time and space,” wrote Petr A. Bílek in a review for the magazine Respekt. In his short stories Němec approaches the limits of describing carnal love. Critics agree that his descriptions are not lewd, though at the same time they are not particularly suitable for puritans. 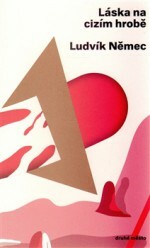 “The author plays with words, he drawls them, he breaks them down into prime factors and provides the readers with pleasure from encountering a compact, crafted text, where all the components have their place and which dispenses with unnecessary effects and superfluous words,” wrote Iva Frühaufová in a review for iLiteratura.cz. Němec’s latest book is Odpustky pro příští noc (Indulgences for the Next Night, Druhé město, 2015). Again love stories. Again linguistically polished.